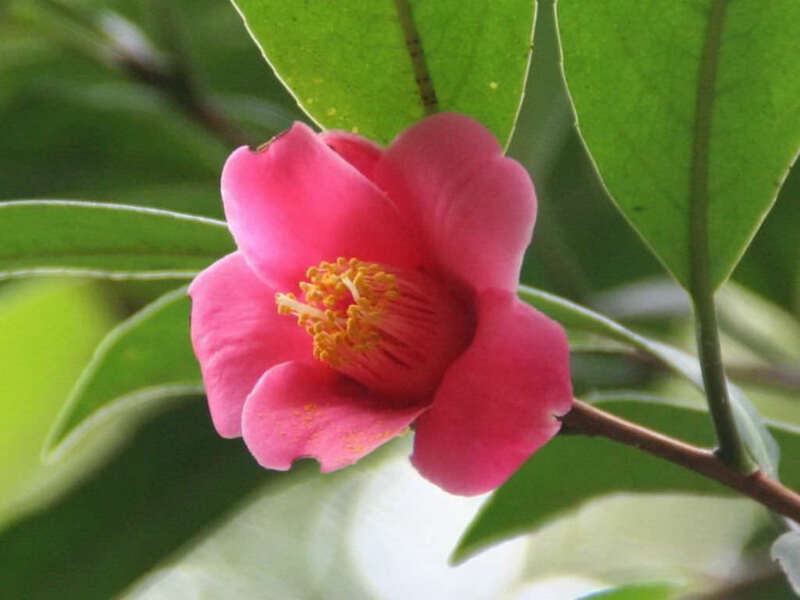 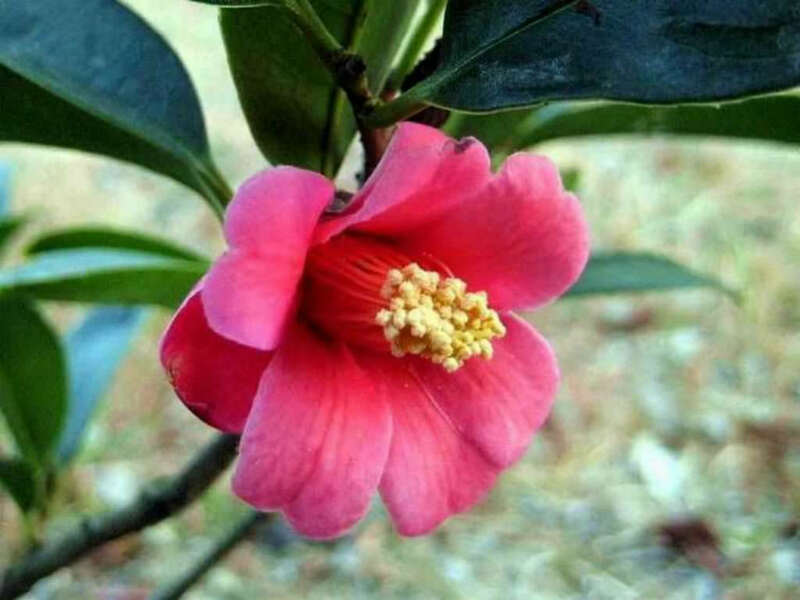 Camellia hongkongensis is a small, evergreen tree up to 30 feet (9 m) tall. 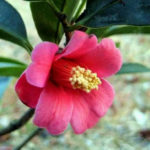 Its young branches are reddish brown. 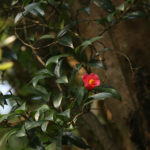 The leaves are glossy green, leathery, oblong and up to 5.2 inches (13 cm) long. 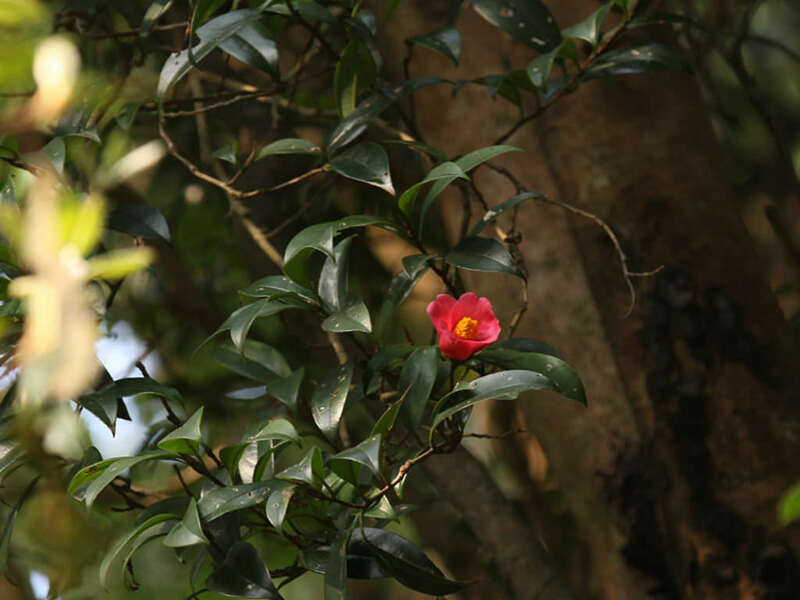 The young branches and leaf are glabrous. 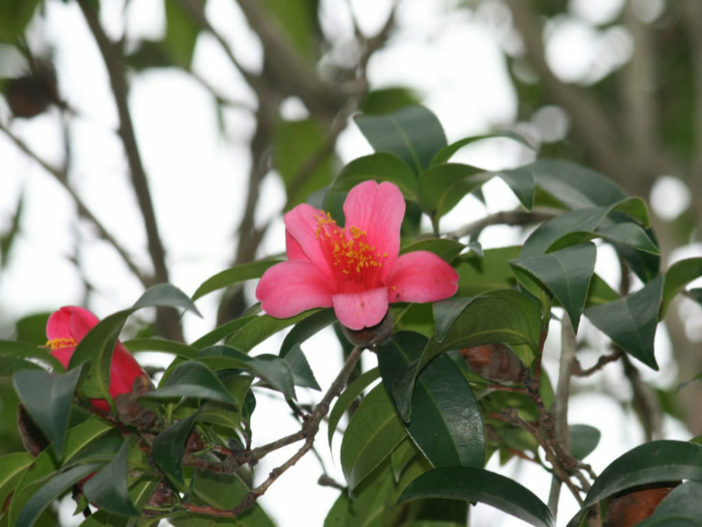 Of the camellia species native to Hong Kong, only this species bears red flowers. 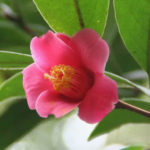 They are up to 1.2 inches (3 cm) across.